Jim's Loire: Unbelievable! Hachette Filipacchi bully a small Bourgueil estate – Domaine d'elles...!! Unbelievable! Hachette Filipacchi bully a small Bourgueil estate – Domaine d'elles...!! Unbelieveable! 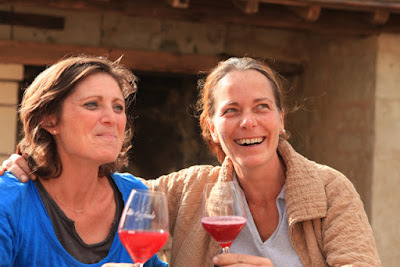 Lawyers from the Hachette Filipacchi group decided to terrorise Sophie Raimbault and Annie Rouxelin of Domaine d'elles, a recently created Bourgueil domaine. I posted about their new venture here in October 2014. This is yet another example of highly unpleasant corporate bullying similar to that employed by Veuve Clicquot in pursuing small sparkling wine producers in Tasmania and Italy. 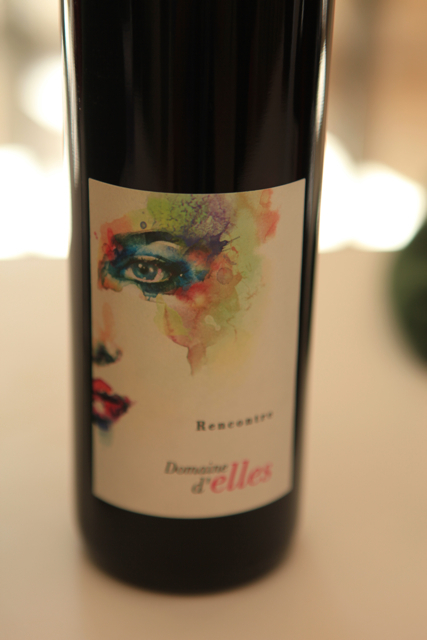 Hachette's lawyers claimed that trademarking Domaine d'elles was infringing their trademark Elle. You would have thought that a multi-national company like Hachette Filipacchi could afford to employ lawyers who are capable of distinguishing between a woman's magazine and a bottle of Bourgueil, especially as it is elles not Elle. You would also have thought that Anne and Sophie's story would provide inspiration for readers of Elle – apparently not! Unlike Hachette's Parisian lawyers Google is able to recognise the difference between Elle and Domaine d'elles as a Google search on Domaine d'elles produces no mention of Elle magazine or its parent company in the first four pages of search results. 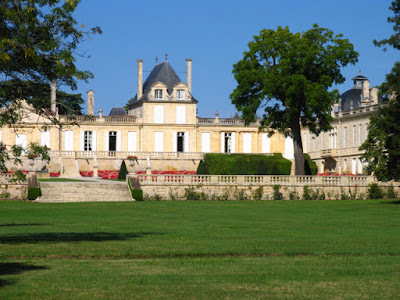 Not surprisingly Sophie Raimbault and Annie Rouxelin have had to change the name of their domaine and accept all the expense associated with this change as a small, start up domaine of 4.5 hectares does not have the money or time to resist the legal bullying of Hachette Filipacchi, one of the world's largest publishing companies. Their domaine will now be called Domaine Ansodelles. 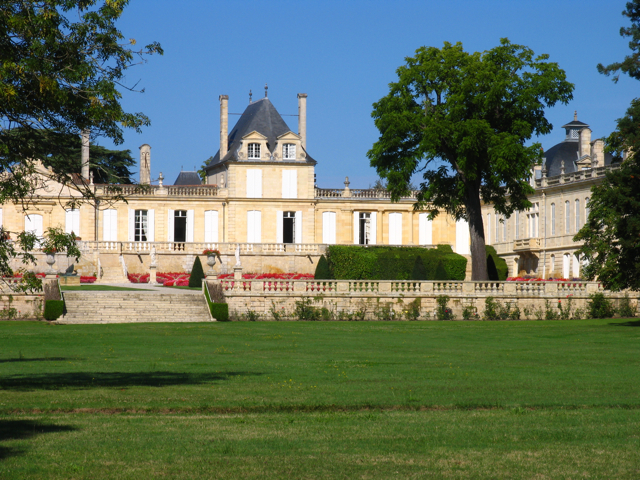 I fear that Château Beychevelle may shortly be receiving a stiffy from Hachette Filipacchi's lawyers. Histoire d’elles … du changement ! Il y a quelques mois, suite à notre reconversion professionnelle au lycée viticole d’Amboise, nous changeons de vie. Nous décidons de créer notre propre domaine viticole de 4.6ha en agriculture biologique sur l’aire d’appellation Bourgueil. Suivant notre quête de sens et de valeurs humaines, nous décidons de raconter notre histoire au travers du nom que porte notre domaine : Domaine d’elles ! Tellement évident tant ce nom nous caractérise… Nous portons la création de notre domaine avec volonté, passion et énergie, ce ne sont pas de vains mots ! Mais parfois des éléments extérieurs viennent entraver notre route…. Après avoir déposé notre nom de domaine, et avoir investi (logotype, étiquettes, signalétique, …), nous recevons un courrier émanant d’un prestigieux cabinet d’avocat, représentant le non moins prestigieux groupe Hachette Filipacchi propriétaire de la marque du magazine ELLE. Ce mastodonte nous somme d’arrêter sur le champ d’utiliser notre marque ! Nous n’avons plus d’autre choix que de changer et réinvestir dans une nouvelle marque. Aujourd’hui, le domaine d’elles devient le Domaine Ansodelles ! Nous avons foi en notre aventure …Et sommes d’autant plus motivées puisque le millésime 2015 nous laisse présager de très belles cuvées, après un premier millésime 2014 déjà enchanteur. Tout cela nous donne la force et encore plus, l’envie d’avancer dans ce beau métier, complet et passionnant ! Notre histoire continue plus b’elles encore !! So they've trademarked a personal pronoun and think they own it? What an outrageous example of trademark bullying. There was one pretty bad example here in Maine a couple of years ago, but at least it was a restaurant versus a restaurant. Here it's a wine producer versus a magazine, and the names are not even the same. But I certainly understand why they changed their name to get it over with. I won't be buying Hachette or Elle ever again - silly people! As the final "s" in "elles" is silent in spoken French, I'm not convinced that Hachette's attitude is completely unreasonable. Some people hearing the name in conversation could be misled into thinking that the estate is owned by "Elle". However, I doubt whether that would cause Hachette or Elle much harm even if the wine were not good. eboracum: If they were publishing a magazine called elles or similar then I could understand Hachette's attitude. Surely you cannot trademark a personal pronoun and claim that it covers all products etc. Anne and Sophie are making wine, which is good by the way. Even the most myopic of lawyers should not be able to confuse a magazine with a bottle of wine.